E-1 visa applicants must be nationals of a country with which the United States has a treaty of commerce and navigation. E-1 treaty traders must be entering the U.S. solely for the purpose of engaging in substantial international trade, either for themselves or for a foreign employer, and principally between the United States and the treaty nation from which the E-1 applicant hails. E-1 status is granted for a maximum of two years. Extensions of such status can also be granted in maximum increments of two years. There is no limit on the number of extensions that may be granted. Spouses and children of E-1 principals may enter the U.S. in dependent status, and do not need to share the treaty trader’s nationality. Dependent spouses of E-1 visa principals can obtain employment authorization in the United States. Subject to certain restrictions, E-1 visa holders can use their status to employ other people who will receive derivative E-1 visa status. E-1 visa employees must possess the same nationality as the principal E-1 visa employer. If a foreign national is in the United States in another temporary status, he or she may change status to E-1, subject to certain restrictions. The VERDIN Dallas Immigration Law team of attorneys are specialists in procuring E-1 status for foreign nationals that have historically engaged in a significant volume of trade in products or services with the United States. We also assist foreign nationals with establishing import/export operations in anticipation of seeking E-1 status at a later date. Our team advises foreign business owners in meeting E-1 visa requirements; including business formation, corporate strategy, and workforce expansion through foreign employee sponsorship. What is an E1 Visa? The E-1 non-immigrant classification allows a national of a treaty country (a country with which the United States maintains a treaty of commerce and navigation) to be admitted to the United States solely to engage in international trade on his or her own behalf. See U.S. Department of State’s Treaty Countries for a current list of countries with which the United States maintains a treaty of commerce and navigation. Substantial trade generally refers to the continuous flow of sizable international trade items, involving numerous transactions over time. There is no minimum requirement regarding the monetary value or volume of each transaction. While monetary value of transactions is an important factor in considering substantiality, greater weight is given to more numerous exchanges of greater value. See 8 CFR 214.2(e)(10) for further details. Principal trade between the United States and the treaty country exists when over 50% of the total volume of international trade is between the U.S. and the trader’s treaty country. See 8 CFR 214.2(e)(11). Isaul VERDIN has extensive experience advising multinational companies and entrepreneurs on complex US immigration matters involving investments. 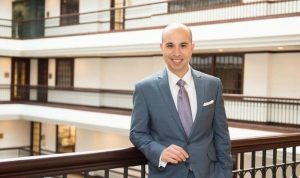 Mr. VERDIN focuses on advising companies on structuring entities, acquisitions, and strategic expansion to satisfy US immigration E-1, E2, L1A, L1B, or EB-1 objectives in a variety of fields; including real estate, aviation, technology, manufacturing, retail, luxury goods, and professional services. Additionally, he litigates deportation defense matters throughout the US. VERDIN boasts a combined 70 years of experience in immigration law. Since its inception, VERDIN has gained a reputation for prevailing in even the most complicated immigration matters. VERDIN business hours are from 8-5PM Monday through Friday. To schedule an appointment at any of our locations please call our main number listed below. To send an email to us, go to our Contact page. If you prefer to Skype, please provide us with your Skype caller identification. If you are an existing client and wish to speak with a specific person at VERDIN, please click on “Our Team” in the navigation menu above and choose from one of our team members.